Milking parlour. 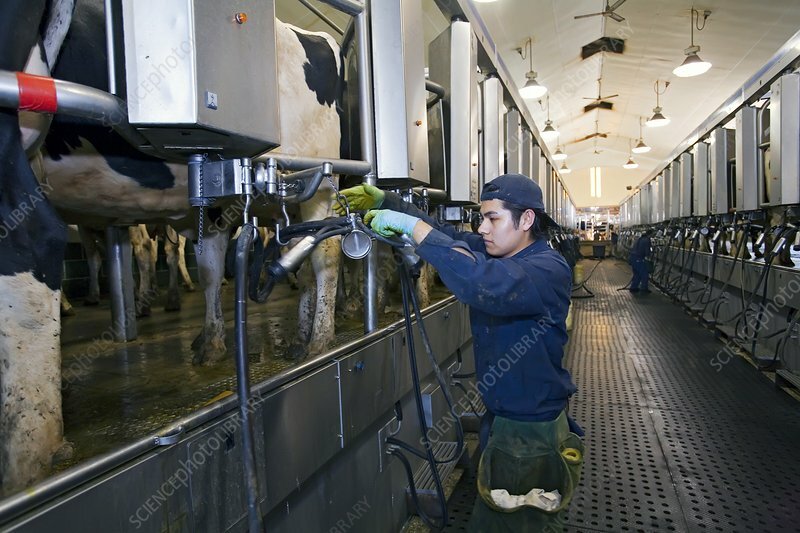 Worker hooking a cow up to a milking machine. Photographed in Elsie, Michigan, USA.